If you’ve enjoyed fine wine and fabulous food at The Foundation for Firelands Salute! event in the past six years, your generosity will soon help patients and families in the Firelands Regional Medical Center Heart Center during the most frightening and uncertain moments of their lives. 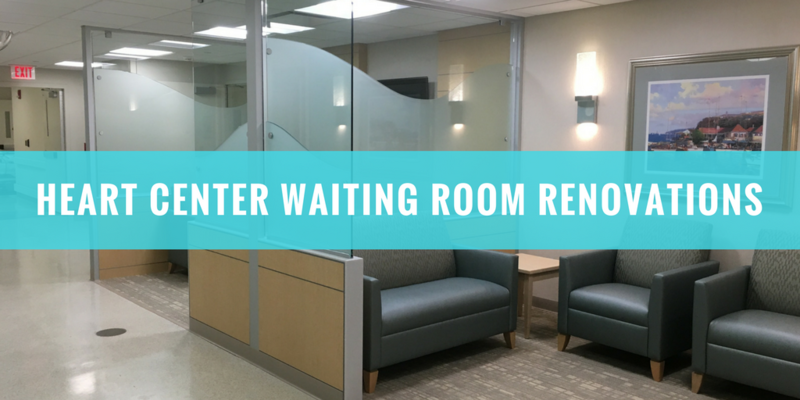 Because of your generosity, The Firelands Regional Medical Center Heart Center will now have two private, comfortable waiting room spaces for families of heart patients. In response to this increasing need for a more comfortable space for families during the most uncertain moments of their lives, donations to the Firelands Regional Medical Center Heart Center are being used to renovate existing areas to create a more functional, spacious and calming atmosphere for our community. The new Heart Center waiting rooms will have divided spaces, to accommodate more than one family. They will also feature an interactive, illustrative wall board that the physicians and staff will use to explain intricate procedures, diagnoses and outcomes to families. In addition, families will have access to cable television, electronic device charging stations and a complimentary beverage station. The space will meld functionality with the soothing, healing aesthetic that can be found in all other parts of Firelands Regional Medical Center. 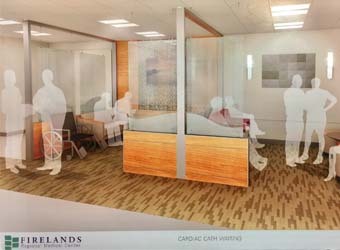 The Firelands Regional Medical Center Heart Center waiting room renovation will be complete in the fall of 2017.